Russell County was organized in 1872 and is 1 of 105 counties in Kansas. Russell County has 8 towns that are serviced by an excellent transportation system, being the crossroads of US Highway 281 and Interstate 70 as well as other State maintained highways. A large portion of the residents are of German descent and intensely proud of their heritage, celebrating many of the traditions from their homeland. 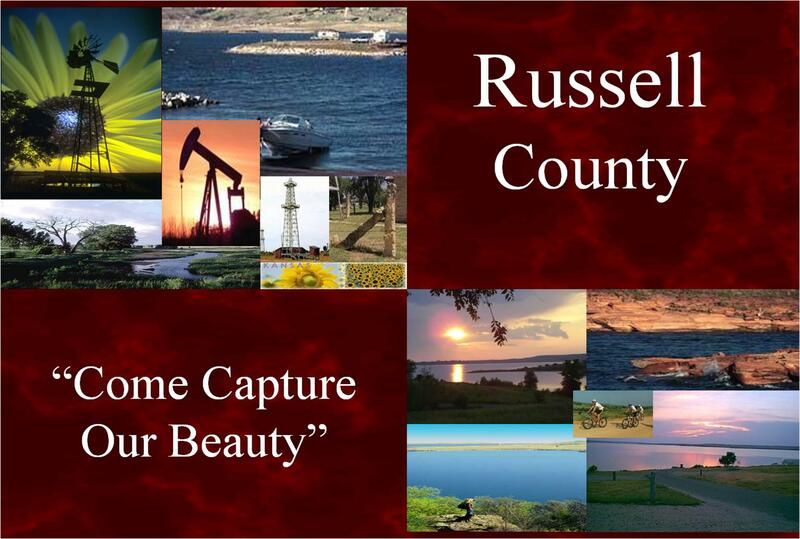 The county seat is the City of Russell, which is home to approximately 4,400 residents. The friendliness of small-town living and community pride can be found everywhere. "Come Capture Our Beauty" by experiencing Wilson Reservoir, rolling hills of green pastures, clear blue skies, limestone bluffs, and beautiful fields of grain! The information displayed on this site is produced for informational purposes only and may not reflect actual original or official documents in their final form. Any persons desiring to view or copy official documents should contact the Office of the Russell County Clerk for proper request forms under the Kansas Open Records Act.